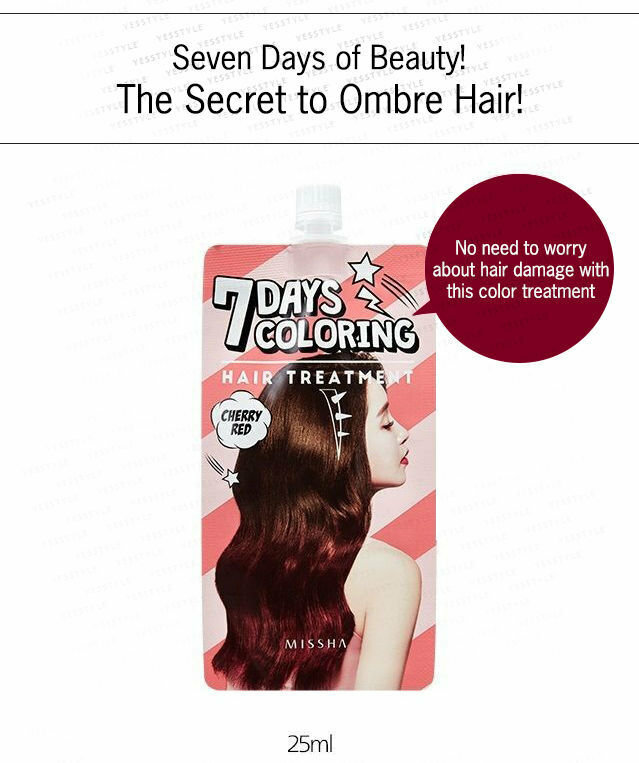 Missha 7 Days Coloring Hair Treatment creates secretly ombre hair styling that lasts for 7 days. 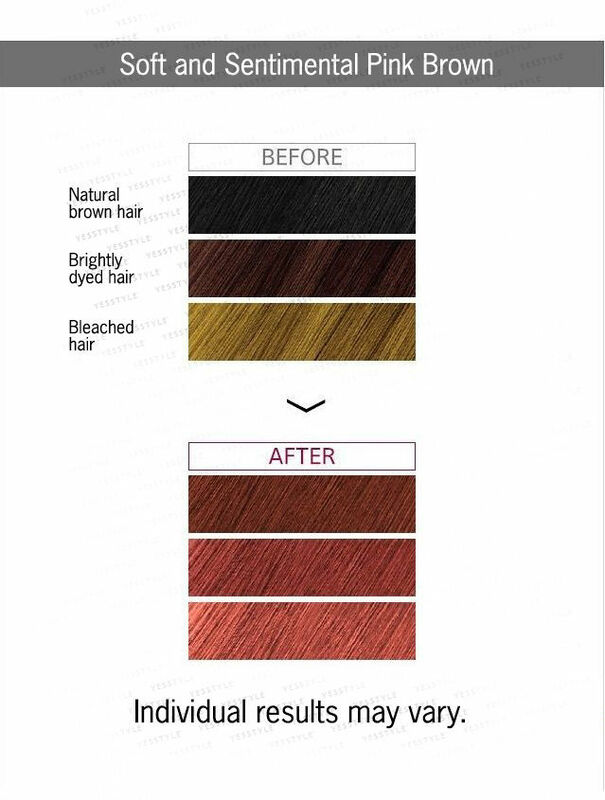 The hair color treatment prevents damaged hair. 11 options available. 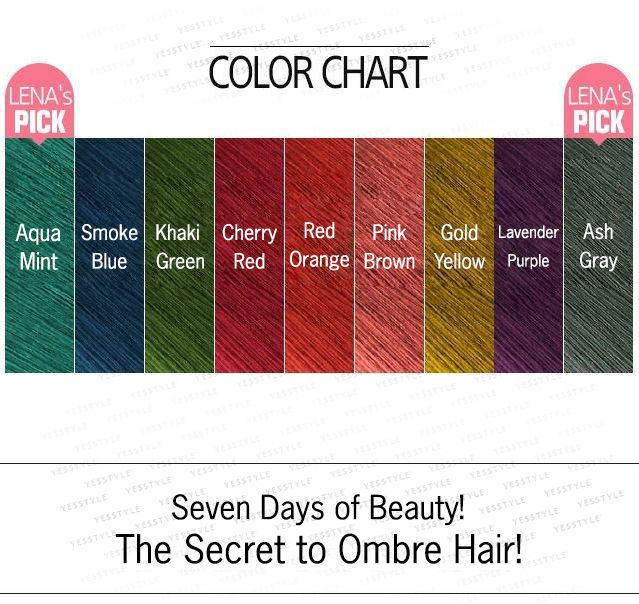 The color transfers easily on bleached hair. 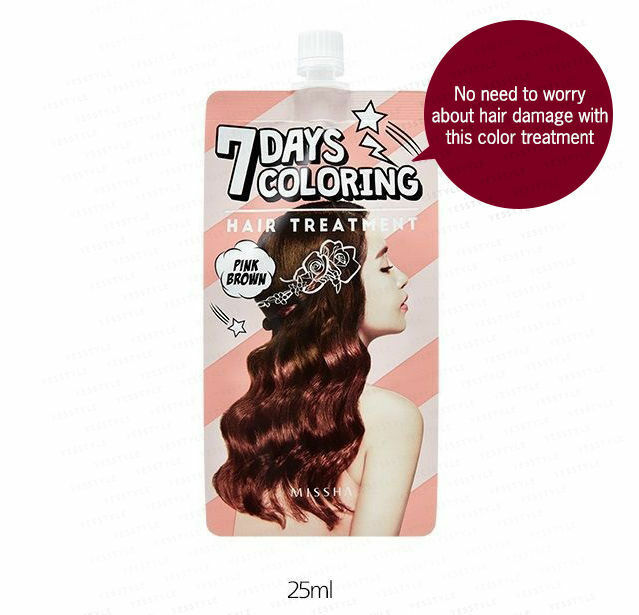 The product acts as both a treatment and a dye. Hair is left soft and smooth after use. After cleansing your hair with shampoo, towel dry without using any rinse or treatment. Apply color treatment on desired areas. Leave on for 5 minutes and rinse off with lukewarm water. 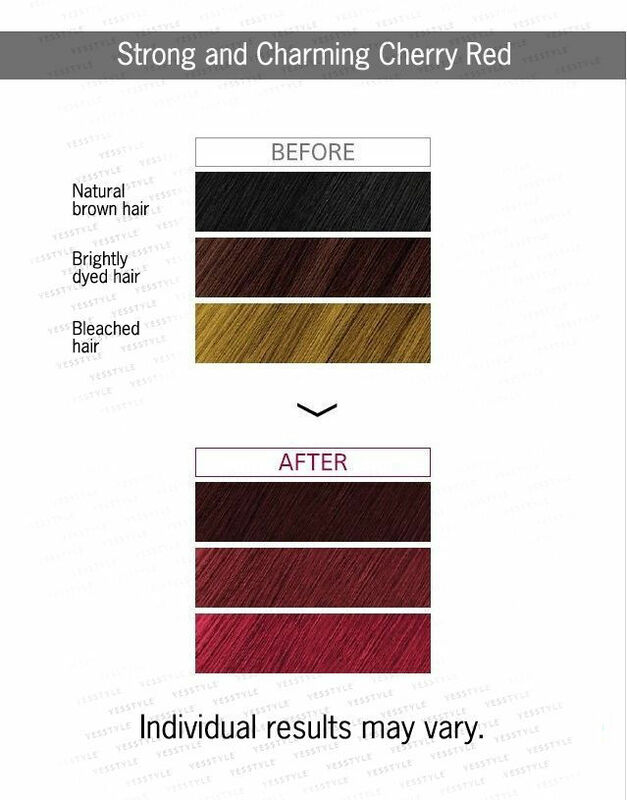 If you want a more vivid color, rinse after 5-10 minutes. Dry your hair completely. Done!